Welcome to the February 12, 2018 edition of ACM TechNews, providing timely information for IT professionals three times a week. 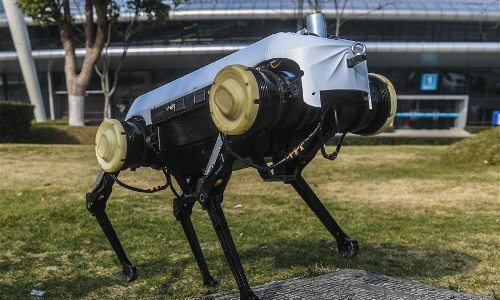 Researchers at Zhejiang University (ZJU) in China have developed Jueying, a quadruped robot dog that can run up a steep slope, walk on thick snow, and regain its balance after receiving a heavy blow. The new robot weighs seven kilograms, is one meter long, and 0.6 meters tall. In addition, Jueying can carry 20 kilograms and move up to six kilometers per hour, and it can run, leap, climb stairs, walk on a gravel road, and rise to its feet after squatting down on its own. "Jueying gains great technological advantages in flexible and smooth movements, quick and accurate responses, and remarkable adaptabilities in the face of a complicated environment," says ZJU professor Zhu Qiuguo. Similar to a real animal, Jueying's brain can analyze a situation quickly and command its limbs to make corresponding movements without falling over. The limbs are controlled by kinetic energy so they can interact more naturally with the environment. To mark the annual International Day of Women and Girls in Science on Sunday, United Nations (UN) Secretary-General Antonio Guterres cited the need to support and invest in women and girls who want to pursue careers in scientific research. He noted systematic discrimination has led to women occupying less than 30 percent of research and development jobs globally. Guterres called for "concerted, concrete efforts" to debunk stereotypes and biases, such as media representations of researchers and innovators as being primarily male. Both UN Educational, Scientific, and Cultural Organization Director-General Audrey Azoulay and UN Women executive director Phumzile Mlambo-Ngcuka said stereotypes make girls doubt they can be researchers and inventors. "We need to tackle biased perceptions amongst teachers, employers, peers, and parents of the suitability of girls and young women to learn science--or learn at all--to pursue scientific careers or to lead and manage in academic spheres," the officials contended. 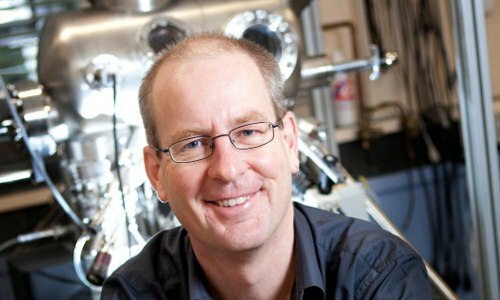 University of Canterbury in New Zealand professor Simon Brown is developing a neuromorphic computer chip that employs a network of nanoparticles to work like the human brain in hardware. "This has the potential for a huge impact on the world, by providing a low-cost computer chip that uses self-assembled nanocomponents to build brain-like structures that naturally support new approaches for solving highly complex tasks, including pattern and image recognition," Brown says. He seeks to solve the issue of power consumption with his novel chip design, noting, "we aim to demonstrate the commercial potential of this technology by building and optimizing a next generation of more sophisticated devices." Brown says most international semiconductor manufacturers base their technologies "on the same processes that are used to make conventional silicon chips, and so they have the same limitations. Our chips are made in a completely different way which bypasses those problems." The European Union-funded Speaker Identification Integrated Project (SIIP) has developed a probabilistic, language-independent identification system that employs a unique Speaker-Identification engine and a Global Info Sharing Mechanism to identify unknown speakers surveilled in lawfully intercepted calls, recorded crime or terror arenas, social media, and any other type of speech source. SIIP integrates multiple speech-recognition algorithms related to speaker model, gender, age, language, and accent, supporting highly reliable and confident detection while minimizing false positives and false negatives. The technology enables law enforcement agencies (LEAs) to thwart criminal evasion by the use of hidden, fake, and arbitrary identities in phone or Internet-based conversations, and to identify an unknown speaker in a lawfully intercepted call of a known speaker. Once a conversation is recorded, SIIP facilitates both identification of speakers by comparing their voices to rich metadata from various sources, and information sharing with LEAs worldwide via Interpol. Researchers at the Massachusetts Institute of Technology (MIT) Media Lab have demonstrated that real-world biases can be unwittingly implemented in artificial intelligence (AI) that informs facial-recognition systems. 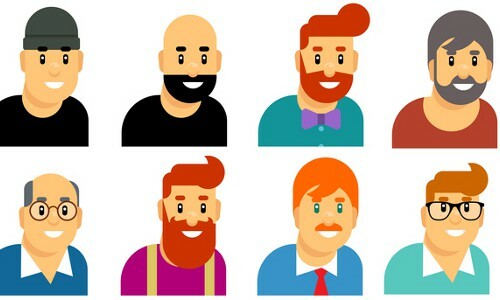 They analyzed the performance of three leading face-recognition systems by classifying how well they could guess the gender of people with different skin tones. The team calculated that one of the most widely used facial-recognition datasets was more than 75-percent male and more than 80-percent white, emphasizing issues about fairness and accountability in AI at a time when investment in and adoption of the technology is quickly moving forward. "This is the right time to be addressing how these AI systems work and where they fail--to make them socially accountable," says University of Utah professor Suresh Venkatasubramanian. The MIT Media Lab's Joy Buolamwini is working with IEEE to establish a group to create accountability and transparency standards in facial analysis software. Researchers at the Swiss Federal Institute of Technology in Lausanne (EPFL) in Switzerland conducted a study involving how people respond to properties available on AirBnB to better understand how machines can make more "human" decisions. They conducted interviews with guests and travelers, asking them how they select accommodations in order to understand how a first impression is formed. The test involved 350,000 images of 22,000 properties listed on AirBnB in Switzerland and Mexico. The team randomly selected 200 properties, sent a list of adjectives to online observers, and asked them to decide how accurately the adjectives described each property. The researchers discovered that if one characteristic can be recognized, the system can associate other adjectives that are usually connected in peoples' minds. "We want to train machines to recognize these subtleties that humans perceive and express in their day-to-day lives, and to use them to support people's real needs," says EPFL professor Daniel Gatica-Perez. 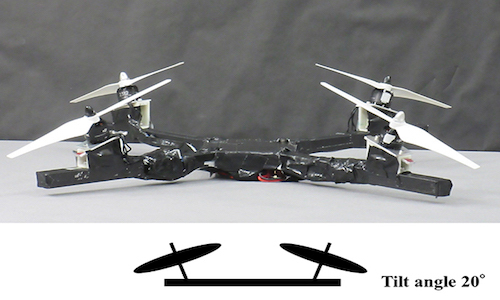 Researchers at Tohoku University and the Kanazawa Institute of Technology in Japan say they have found that angling the rotor blades of a quad-rotor unmanned aerial vehicle (UAV) can reduce pitching while attempting to fly into headwinds. Although a multi-rotor setup permits vertical takeoffs and the ability to hover in calm conditions, they are unstable in windy conditions, which cause the rotors to flap and the UAV to pitch upwards. The researchers note pitching can occur on account of three factors--the drag of the body, the asymmetry induced flow distribution on the rotor with wind, and rotor thrust difference between the front and rear rotors. Using a wind tunnel, the researchers tested various angles of rotor attachment to the quad-rotor and the effect on pitching moment generation. The team found that rotor tilting by 20 degrees to the outer side degrades the pitch of the vehicle by about 26 percent. Researchers at the University of Southern California's Center for Artificial Intelligence in Society have labeled 180,000 humans and animals in infrared videos using a tool they developed to expedite the process. The researchers used the labeled images and an existing deep-learning algorithm, called Faster RCNN, to teach a computer to automatically tell the difference between infrared images of humans and infrared images of animals. The team then deployed the algorithm, called Systematic POacher deTector (SPOT), to identify poachers in near-real time using laptop computers at base stations in the field, where footage streamed in from drones patrolling national parks in Zimbabwe and Malawi. However, the USC researchers note the algorithm took 10 seconds to process each image, which is too long for the moving vehicles. To solve this problem, the researchers changed the algorithm to leverage the power of the cloud to build a virtual computer that could process the images faster. 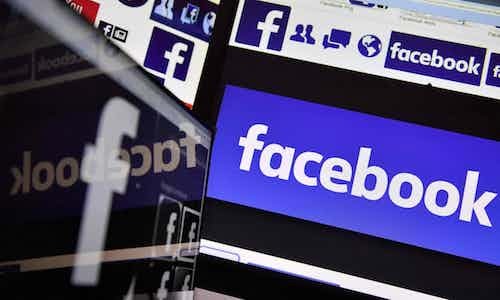 Facebook CEO Mark Zuckerberg in January announced the company will revise its News Feed algorithm over the next several months to promote "meaningful social interactions" by shifting away from public content by companies and media and toward posts by family and friends. University of Virginia professor Gabriel Robins says this is a response to the fact that the proliferation of media content caused Facebook to diverge from its goal of connecting people, and had the opposite effect. "There's a complicated algorithmic formula that takes into account [users'] browsing history...and tries to predict what they would be interested in watching or reading or seeing and then it just feeds it to them," Robins notes. The algorithm itself is intrinsically indifferent, but the News Feed's user-centric reprioritization will probably be coded in consideration of the content's impact on the user. Programmers are seeking to ensure the algorithm functions altruistically so it does not operate with a focus on receiving financial profit. Researchers at New York University (NYU) have utilized advanced real-time tracking software and robotics to design and test the first closed-loop control system featuring a bioinspired robotic replica interacting in three dimensions with live zebrafish. The system lets the replica "see" and mimic the behavior of the zebrafish in real time, and the team tested interaction under different experimental conditions. In all cases, the replica and the fish were separated by a transparent panel. 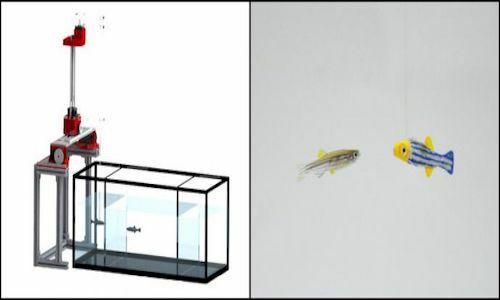 In preference tests, the zebrafish showed greater affinity and no anxiety or fear toward a robot that mirrored its own behavior, compared to a robot that followed a pre-set pattern of swimming. "This is the baseline for the types of interactions we're hoping to build between animals and robots," says NYU professor Maurizio Porfiri. The researchers next will study social interactions among live zebrafish to better understand their natural cues and responses, and then apply their findings to the robotic replicas. Researchers at Carnegie Mellon University (CMU) have developed Evorus, a chatbot system that recruits crowd workers on demand from Amazon Mechanical Turk to answer questions from users, with the crowd workers voting on the best answer. Evorus also tracks the questions that have been asked and answered, and over time, it will begin to suggest these answers for subsequent questions. The researchers also developed a process by which the artificial intelligence (AI) can help to approve a message with less crowd worker involvement. During a five-month deployment, Evorus worked with 80 users and 181 conversations, and its automated responses to questions were chosen 12 percent of the time, crowd voting was reduced by almost 14 percent, and the cost of crowd work for each reply to a user's message dropped by 33 percent. The researchers will present Evorus in April at the ACM Conference on Human Factors in Computing Systems (CHI 2018) in Montreal, Canada. Researchers at the University of Pireus in Greece and Rovira I Virgili University in Spain found 80 percent of health applications transmitted health-related data to third-party companies, with only 50 percent doing so over secure connections. In addition, most of the apps did not meet legal requirements or standards meant to prevent users' private information being disclosed to third parties. The researchers evaluated 20 popular, free mobile health apps and examined how the developers reacted to the findings. They analyzed how users' personal data were handled, and found only 20 percent of the apps stored data on users' smartphones, and 50 percent requested and managed users' login passwords without a secure connection. The team also learned that half the apps shared personal data, including text data and multimedia data such as x-ray images, with third parties, while more than half transmitted users' health data through URL links, meaning data was accessible to anyone with access to those links.